, Sonoma, Santa Rosa, and numerous private parties,weddings,and dances. Barry had his early training in classical piano as a child, but moved on to jazz/pop in his late teens. His style was influenced initially by recordings of Oscar Peterson, Erroll Garner, and Dave Brubeck, then later by the music of Bill Evans, Andre Previn and Herbie Hancock. Barry has enjoyed playing piano in small group settings as well as big bands for most of his adult life. Although music has not been his main career (Barry was a classroom teacher for 38 years until his retirement in 2003), he has made it his principal hobby/avocation and enjoys performing for live audiences in and around the Bay Area. Barry makes his home in Napa, CA with his wife, Lani. Greg was born and raised in El Sobrante, CA. He is a graduate of Berklee College of Music in Boston, Massachusetts. 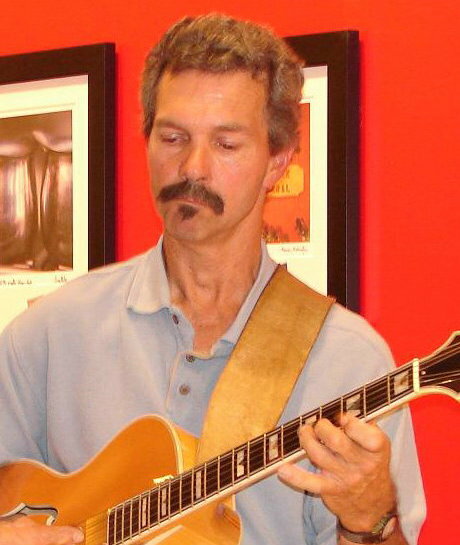 He has studied guitar with Michael Gibbs in New York and has participated in numerous New York recording projects. He has performed with Norbert Statchel, Matthew Echol, the Bay Area Jazz Ensemble, the Rory Snyder Quintet, the Diablo Valley College Night Jazz Ensemble, and the Diablo Valley College All Star Combo. Gary is a native California and was raised in Napa. He now resides in Benicia. 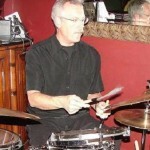 He started drumming at an early age and continued thru high school and college. He earned his degree from the University of California Berkeley where he was a member of the University of California Marching Band and University of California Jazz Ensemble which toured Japan during the World Fair in 1970. Gary has recorded and performed with a variety of groups, toured Canada and the U.S., and appeared in Lake Tahoe shows. 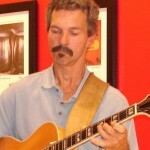 Rich is from Grand Rapids, Michigan and is a graduate of Indiana University with a degree in Music Education. He and Dalt Williams served in Korea performing with the U.S. 8th Army Band. Rich has played Lead Alto Saxophone in the bands of Claude Thornhill, Buddy Morrow, Earl “Fatha” Hines, Charlie Barnet, Boyd Raeburn, and Billy Mays. He has also performed with Nat and Cannonball Adderley, Nat Pierce, Quincy Jones, Doc Serverinsen, Gerry Mulligan, and Junior Nance. In addition, Rich has played a number of years at the Fairmont Hotel in San Francisco backing such performers as Ella Fitzgerald, Mel Torme, and Tony Bennett. 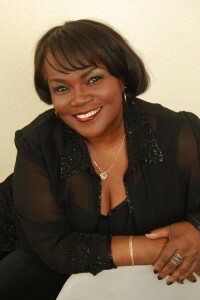 Marcella Hooks began her stage career at the toddling age of five, singing at talent shows in St. Louis, Missouri, where she was born and raised. After years of singing in school and church choirs, she began taking private lessons to strengthen her signature pipes, finding unique vocal strength from her training in Italian opera. She began the voyage of her professional career singing jazz and blues during the 1960’s and 70’s, performing with some of the local area’s finest musicians in top nightclubs and entertainment spots throughout the Midwest region. During the economic boon of that time, Marcella went on to perform as the opening act for artists such as Bobby “Blues” Bland and the Fifth Dimension. Now based in the San Francisco Bay Area, Marcella’s sultry-smooth vocals have lured and captured the hearts of many local fans. She continues to be warmly received by critics and audiences throughtout the area. Marcella’s cool tone and swinging style adapts beautifully to all forms of pop, jazz, blues and standards in an almost effortless fashion, capturing the intimate attention of music lovers of all generations. She currently performs regularly in Oakland’s Jack London Square at a popluar local haunt, Scott’s Seafood Restaurant. JFAO is pleased to have her on board. Born in Whittier, CA Bob received considerable classical training in flute and clarinet early on. He developed a love of jazz and swing era music in high school and took up the saxophone. He performed extensively in the 70’s and 80’s culminating with several years as a member of the U.S. Military Academy Band at West Point, N.Y. He has performed in orchestras and symphonic bands throughout the Bay Area as guest soloist. 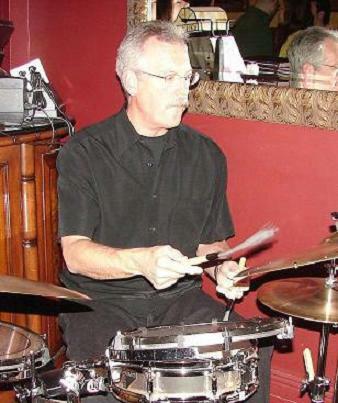 Bob currently makes his home in San Francisco and is in demand as a jazz soloist and big band sideman, as well as “subbing” in local orchestras.